" The shorter frame vastly improved the fit of the whole Nuance system! " 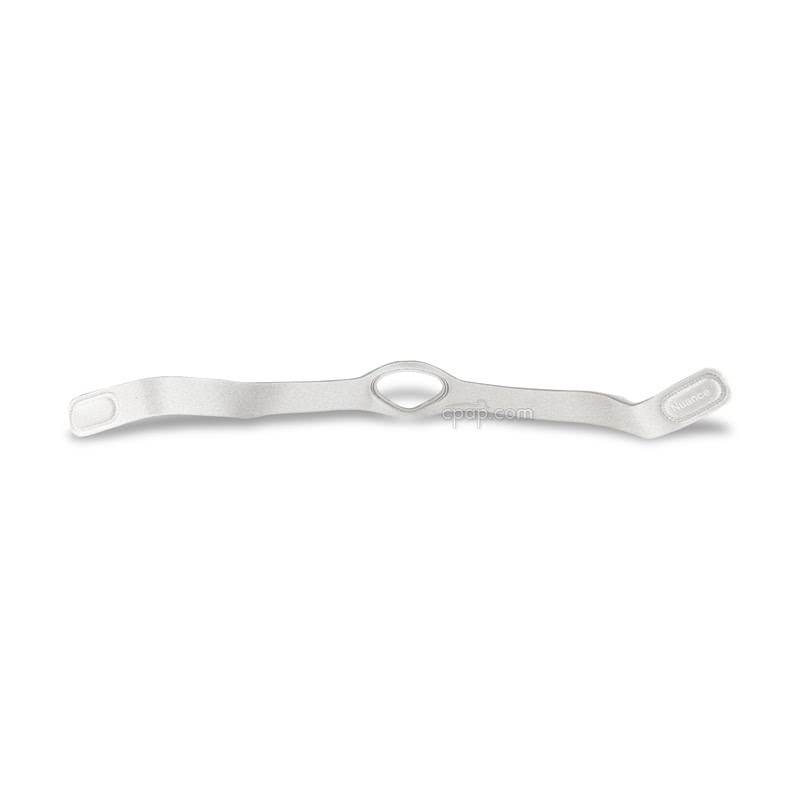 This is the Frame for Nuance Pro and Nuance Gel Nasal Pillow CPAP Mask. Select the type of frame needed, either the Nuance or Nuance Pro. The frame is the portion of the mask into which the short tube and pillow platform fit to hold the gel nasal pillow. Identifying features of each are noted below. This is the fabric frame only. It is compatible with the Nuance mask. This frame consists of a single strap with the retaining ring to hold the pillow cushion platform. This frame has two Velcro tabs, one of which has the word "Nuance" printed on it. This fabric frame is compatible with the Nuance headgear which has a pale blue back strap. The Nuance fabric frame is not compatible with the Nuance Pro mask. This silicone frame has two blue gel pads. This frame is compatible with the Nuance Pro. The headgear that this frame is compatible with has a medium gray back strap and has three Velcro tabs, one of which has the words "Nuance Pro" printed on it. 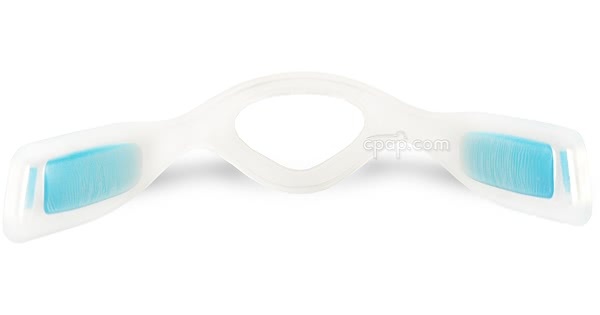 The Nuance silicone and gel frame is not compatible with the Nuance mask. This is the frame only. This product does not include the short tube, pillow cushion platform, gel pillows or headgear. This is only the part into which the gel pillow and short tube fit. Only the frame is included with this purchase. To view and order the headgear for use with the fabric or silicone frame for use with the Nuance and Nuance Pro, visit this page: Headgear for Nuance and Nuance Pro Gel Nasal Pillow CPAP Mask. The standard size gel mask frame and the standard size fabric mask frame fit all three nasal pillow cushions. The mask frame does not have an identifiable size due to the universal fit. The reduced size fabric mask frame does not have an identifiable size. To receive the reduced size mask frame, a specific order must be placed.